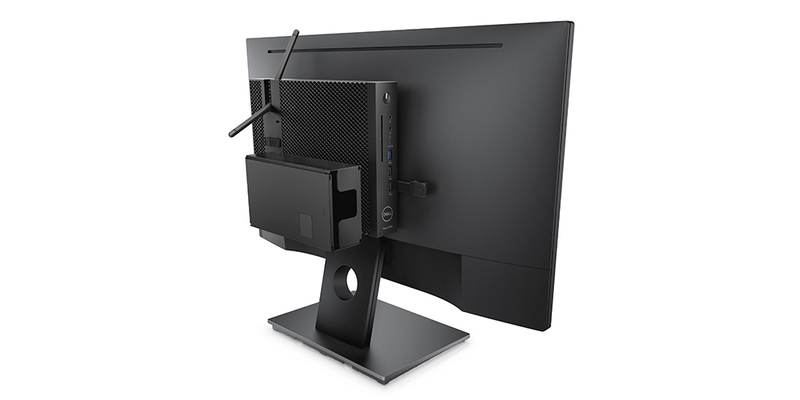 At last, after over a year of planning and developing, the Dell Wyse 5070 thin client now emerges from the shadows to take its place as the latest thin client to join the Wyse portfolio. 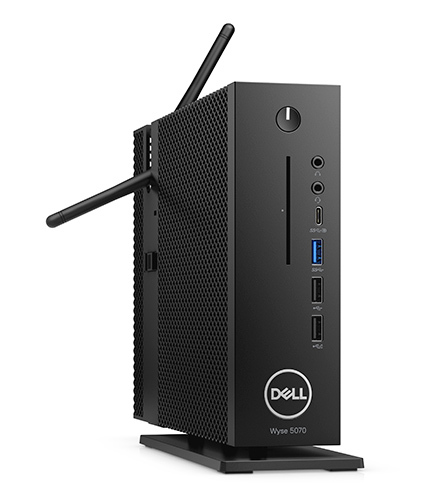 Not just an ordinary thin client, mind you, but a device which meets the needs of a variety of users connected to Citrix, VMware, Microsoft VDI infrastructures and browser-based solutions such as Office365 and Google Docs. The 5070 can satisfy a wide range of users from the task user through the collaborative knowledge worker or design engineer with a variety of processors and display options to meet your needs without over provisioning resources. Under the hood you have your choice of two of the very latest quad core processors; the Intel® Celeron® or the higher powered Intel® Pentium® processor, assuring you have the user experience you expect. When it comes to monitor support, the 5070 has you covered with two, three or six ports supporting up to 4K @60Hz UHD displays to light up your cube or office in brilliant color. In today’s connected world, comprehensive peripheral and networking support is essential when choosing a thin client, so the 5070 has three networking options in addition to the standard RJ45 port. The 5070 can be ordered with a small form-factor pluggable (SFP) port (fiber and copper), dual-band wireless and a 2nd RJ45 to address teaming and failover requirements. There are 8 external USB ports, including a Type-C, to accommodate your future needs. The Celeron processor is paired up with two display ports, audio jacks on the front, and comes in a slim form factor, while the Pentium processor supports three display ports and an additional audio port on the rear. The 5070 Extended – also based on the Pentium processors — is a bit wider and has three display ports and a second serial port, a parallel port, and it has a half-height PCIe slot. Oh, yes! You have the option to add a discrete AMD GPU and gain three additional display ports from the factory. You have told us you want one place to go for warrantee/support and this GPU option is part of your thin client warrantee and support services. The 5070 and the 5070 Extended also have another new option; the integrated CAC / SmartCard reader for those looking to support dual factor authentication. This gives the 5070 even more flexibility to deliver the performance, security and user experience to meet a large portion of your company’s use cases. I’ve only touched on the 5070 hardware in this installment, but there is so much more to talk about. In the future I’ll cover the three software operating environments, the newly-updated version 1.2 of Wyse Management Suite, and a host of mounting options. After the basics we can dive into the details, but it’s worth mentioning now that all this versatility allows the 5070 to replace six separate products so you can standardize all your end users on one architectures and one software image.